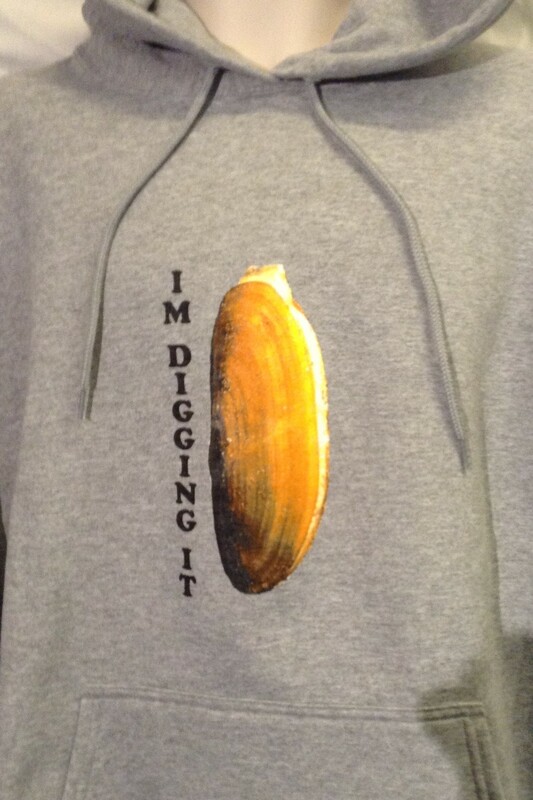 Order your favorite beach apparel today. We offer only high quality name brand T-Shirts and Sweatshirts, which are made to last. Our T-Shirts are 6.1 oz, 100% soft spun cotton. The athletic heather is 90/10 cotton/polyester. The sweatshirts are 9 oz 50/50 cotton/poly fleece, made with air jet yarn for a soft, pill-resistant finish. We also offer a buy two T-Shirts get one free or purchase a Sweatshirt get a T-Shirt free. 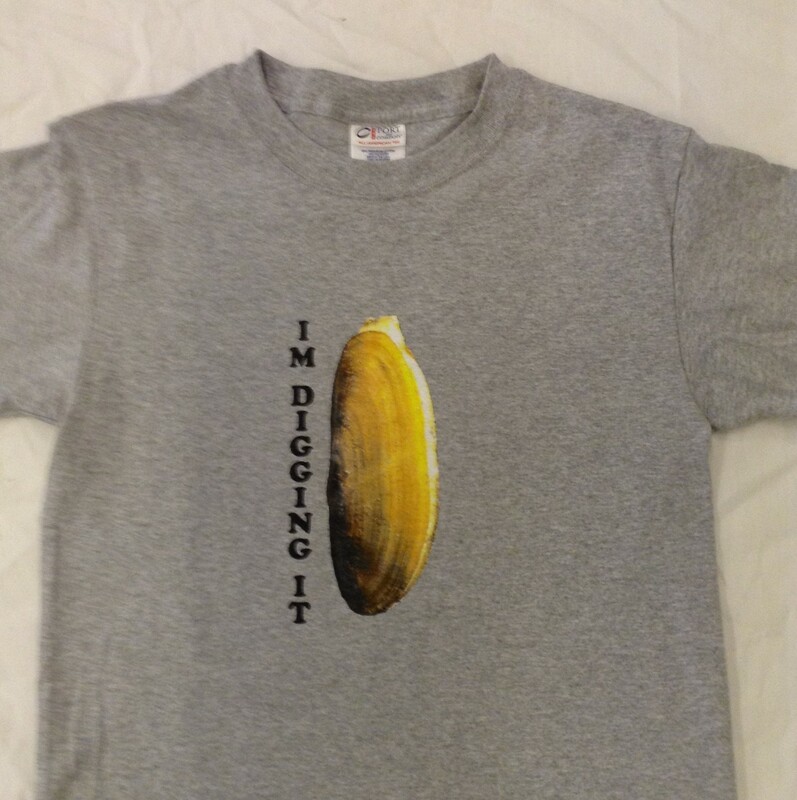 Adult I'm Digging It razor clam T-Shirt.